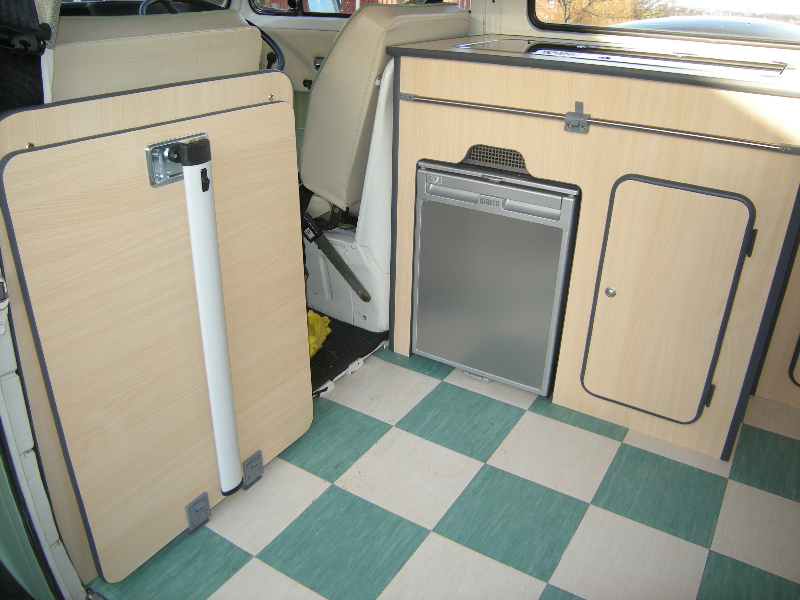 The images below show examples of units and vw camper interiors that have been built to the customer specification. 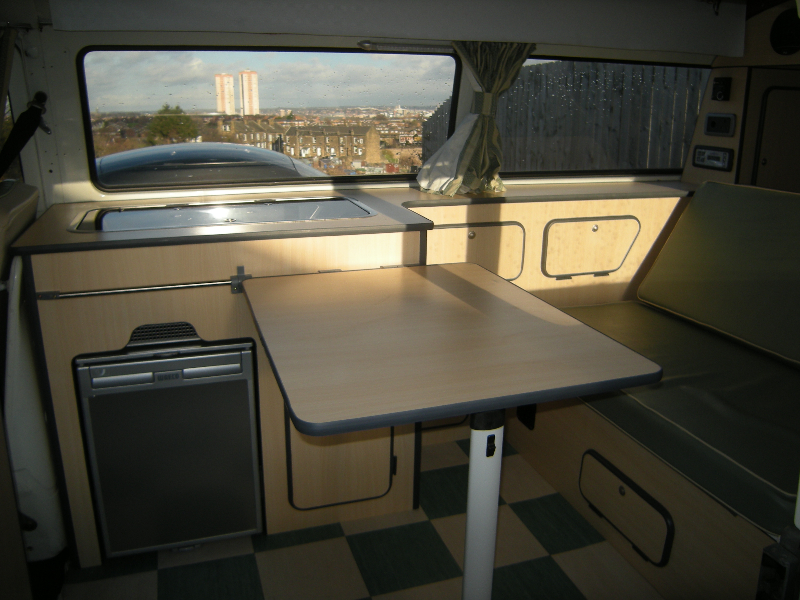 Each camper interior has been constructed and fitted in the camper vans by a City & Guilds qualified joiner with twenty five years experience. The units are constructed from lightweight board or real woods. 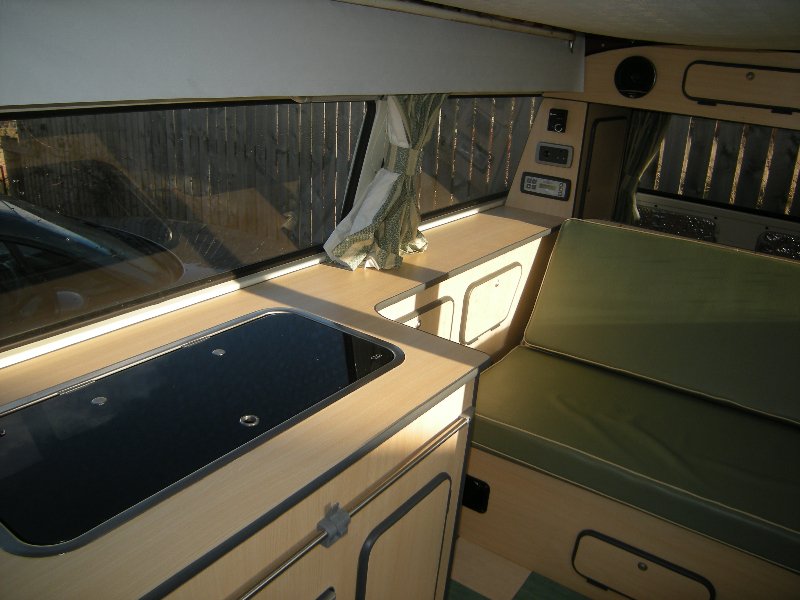 Our auto-electrician has over twenty years knowledge in working with camper conversions and will work with you to kit out you camper interior to your specification to athe highest standard, including fitting solar panels 12v and 240v electrics, full sound systems, lighting and tracking systems. 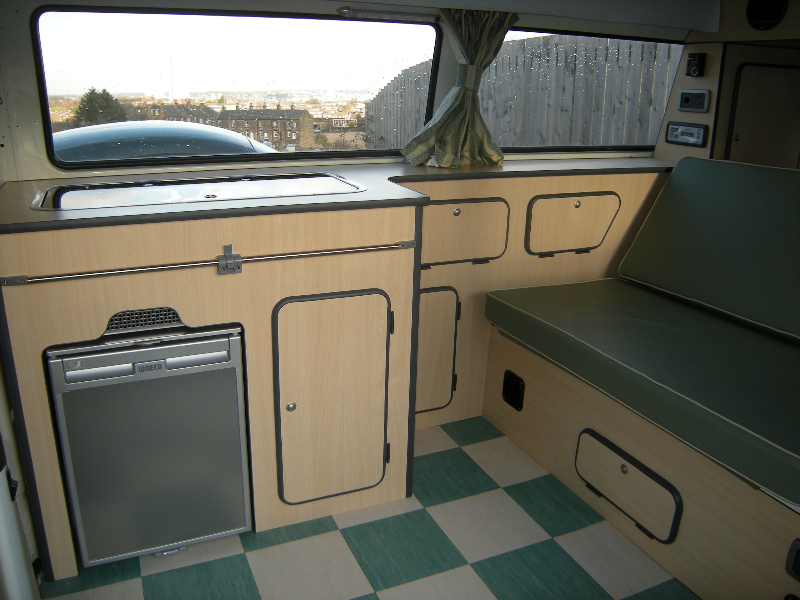 We work closely with an trusted upholsterer who works on camper conversions to a professional standard of finish. Each set of cushions can be made in any shape or size. We only use high quality material to ensure your camper interior seats will last a life time.